the latest three posts were from two weeks ago....sorry they seem a bit out of place. Can't wait to see the W movie...and its always good to see that opening for Mad Men. 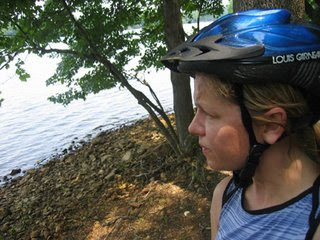 Its off to Loch Raven for my morning solo ride! I love these days...get up, eat some pancakes and a couple cups of coffee...a nice ride in the 70 something weather...and then back to the sweat shop! Patrick is away all day in the mountains of PA..so I get to have some jenny time. happy saturday!